Hello to all you boys in the backroom! A boring night for baseball yesterday turned into an excuse to finally finish up this week’s read pile entry: Batman and the Mad Monk written and drawn by Matt Wagner of Grendel/Mage fame. This book is a retelling of one of my all time favorite Batman stories from the earliest days of the franchise back in 1939. Set in the “Batman: Year One” timeline, the book belongs beside such other entries as Long Halloween, Dark Victory, and the Man who Laughs. In fact, this book is actually a sequel to Matt Wagner’s earlier Caped Crusader story, Batman and the Monster Men, which again puts a modern spin on the vintage story of the first time Bats fought Dr. Hugo Strange. However I gotta say that unlike the Monster Men story which I could take with a grain of salt if the interpretation didn’t quite sit well with me, I was going be absolutely critical with anything in Mad Monk that I didn’t think jived. That’s because again, we’re talking about the Monk story, probably up there in my top 3 Batman stories of all time. Although somewhat simplistic in its storytelling, this two part story created by Bob Kane and Garden Fox for Detective Comics 30-31 was the very first Batman story to really grab my imagination as a kid and never let go. It was the major reason I read “The Greatest Batman Stories ever told” so many times in middle school. It’s extremely creepy and atmospheric with solid shades of the Universal Pictures Monster Movies that were being released in that era. 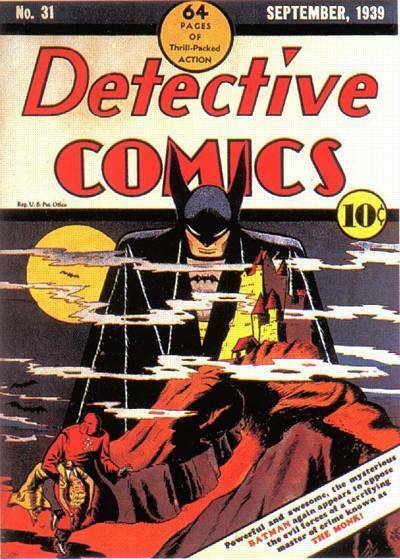 It’s also got Batman at his pulp hero best back when he regularly carried a gun and wasn’t above flat out killing a villain if the opportunity presented itself.There are blood sucking vampires, killer wolves, ancient castles, and hell even some giant gorillas for some bizarre reason. And I mean, look at that cover. I would argue it’s one of the top 5 most Iconic Batman covers out there. It says everything you need to say about Batman and the universe in which he lives: Dark, foreboding, filled with danger and mystery. So all that being said, I had really high standards for this story that I felt Matt Wagner better deliver on in order to avoid getting a low grade from this comics professor. So the question is: were those standards met? Did Matt give me a spooky nightmarish horror movie type Batman story filled with suspense and pulpy goodness? Well, yes and no. The main problem I had with the Mad Monk, was that more than half of the story didn’t actually have anything to do with the Monk nor Batman’s battles against him. It dealt with his relationship with Julie Madison, who many Batfans will realize was the original love interest of Bruce Wayne back in the early days of the comic, the development of his professional partnership with Jim Gordon, and the ongoing story of the Falcone crime family which is referenced in a multitude of Year One type stories. Although, these aspects are good from a continuity perspective with the rest of stories from this timeline and do create deeper characterization for Bats and the others, I couldn’t help but feel that their inclusion really took away from the high melodrama and genuine freakishness that is really the heart of this tale. 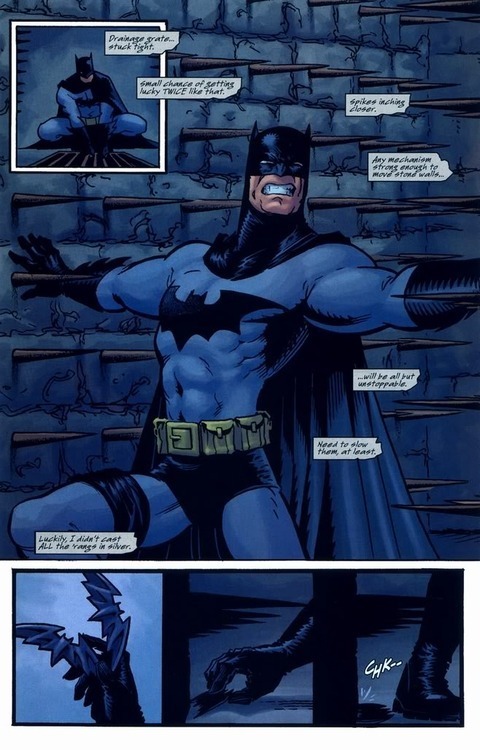 I mean really this story is supposed to be Batman vs. The Monk and yet the story slow builds to the point where we really only get one actual meeting between the two characters and it’s not until the very end. Even then, the climatic confrontation is only a couple pages long and ends rather abruptly. Plus the fact that with all the previously mentioned characterization, you really never figure out who the Monk really is, or what he’s actually planning on doing, other than he’s sucking blood and stealing money. I mean don’t get me wrong, the original tale has even less characterization about the Monk and his motives, but at least that story isn’t even bothering to pretend its going in that direction. It just flat out says the dude is a monstrous vampire aka Dracula and gets going with the rest of the crazy action. And talking about that crazy action/adventure of the original story, really there’s only one chapter of this new series that even come close to that, and that’s Batman’s escape from the all time classic pit of closing spikes. A Cliche yes, but it works because it invokes the feeling of the original what with its cliffhangers ripped right out of the movie serials of the day. The Mad Monk story is anachronistic. It’s from another time and place when there were so many more unknowns in the world. A time when you could dream about remote forgotten European villages complete with haunted castles and all the monsters that could dwell within. A far more superstitious time even by today’s standards where science was really just starting to take hold. In the face of the modern connected world, the concept loses a lot of its devilish traction. And despite Matt Wagner’s solid attempts to bridge that and add modern elements to the tale, it in fact draws more attention to how out of place they are. I mean, he moves the Monk’s castle to Gotham and just explains it belonged to a family of excessive eccentric billionaires. 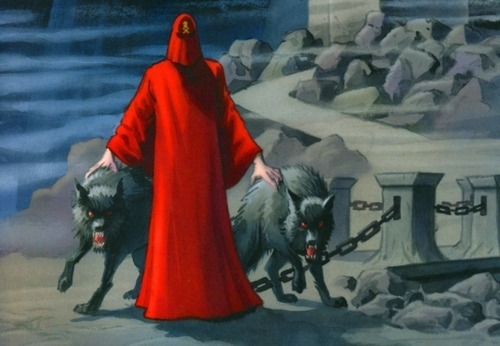 He has the Monk and his cult of followers dealing with street level thugs for places to perform their evil rituals. He even makes the Monk’s assistant, Dala, be a refugee from Kosovo or something. All these things are great and I applaud him for trying so hard to make it fit, but in the end, it just doesn’t. In closing, Batman vs. the Mad Monk is a pretty good story for those of you that really like the whole “Batman: Year One” story line, and continues solidly with the themes and motifs raised in them. 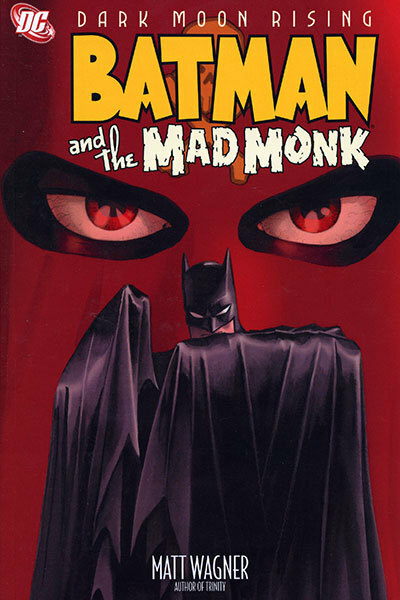 But if you really want a story about Batman battling The Monk, then just stick to the original. It may be one dimensional and corny at times, but it’s the way a story like that should be presented. It’s the only way it really makes sense.